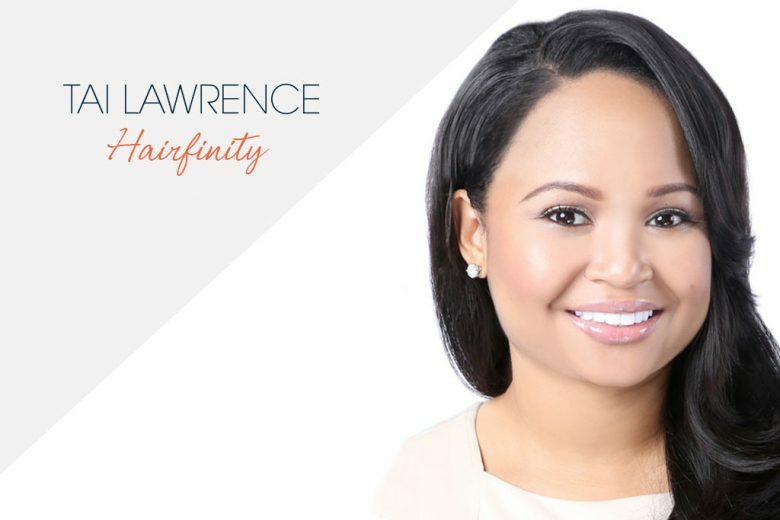 When Tai Lawrence was trying to find a solution to her own hair problems she couldn’t find a product to help, so she decided to develop her own – Hairfinity. Today, Tai’s idea and company has developed into three more brands all working under the umbrella company Brock Beauty. I’ve always been a business-minded person and I always knew I wanted to own my own business. I did not see anything wrong with other career paths, I just knew what I wanted to do long term. However, I also knew that I needed an education. I put together a plan; go to college, get a job, work for five years and then start my own business. I was able to leave my job after working for only four years, so I actually beat my goal. What was the trigger that allowed you to get started? When I started Brock Beauty, I was pursuing several business ventures with my husband and I was actually doing the hair care research just for myself. I did not think of it as a business idea at first. I had a problem, I looked for more, and then I found other women who had the same issue. I am naturally a problem solver, so I started sharing information about healthy hair techniques. Tell us about the brand Brock Beauty. Where did the idea come from? The Hairfinity brand came first as a result of me trying to find a solution to my own hair troubles. I had been compiling research about hair care and sharing it with women online. However, I felt that there was something missing that was deeper, so that’s when I made the nutrition connection. Being a “maths” person, I thought about having an infinite amount of hair; hence, the name, Hairfinity. When we started adding other products to our offerings, I thought we should have an umbrella company (the company is named after my husband Brock). Over the years, my work day has changed dramatically. In the early years, it was just my husband and I doing everything including customer service and packaging. Today, I am mostly involved with product development and overall management. Now a typical day in my working life is split into two parts; half of the day I spend surfing the internet, looking for ways to improve something for others and the other half of the work day is spent in the office, working with our various departments. In the beginning, I struggled to find a good work-life balance. I worked a lot and lost a lot of sleep and lost out on other things too. When I realised that overworking myself could affect my health, I just thought about what was most important in my life. I thought about what I could live without, and what I couldn’t live without. My family and my health trumped my business, so it put things in perspective for me. Now, I keep a schedule that works for me with certain hours for work, and certain hours for my family every day. The most enjoyable part of my job is when I get a letter from a customer whose life has changed because of one of our products. I have received several of these over the years and some of them come from cancer survivors who just wanted to feel normal again. Others were women who never felt comfortable with their hair or skin until after using one of our products. While beauty products may not seem “life changing”, it can be just that when it helps people feel better about themselves. The most challenging part of my job is deciding what to tackle first and who to focus on. Our team comes up with lots of ideas about products to help people, but you can’t do everything for everyone. It’s difficult to decide which products make the cut and which ones don’t as they are all great ideas. I think my resourcefulness has been my key to success. I don’t claim to know everything or be the best at everything but I am great at finding information and people who will be able to accomplish things. I know my strengths and weaknesses: where I am weak, I get help and where I am strong, I give help. This has been my formula for success. What advice would you give someone hoping to follow in your footsteps? I would tell someone hoping to follow in my footsteps to believe in themselves. When you try to do something different, people won’t always be supportive and they won’t always see your vision. If you believe in yourself, it will be easier to pursue your dreams and make them a reality. Find out more about Hairfinity on their website.